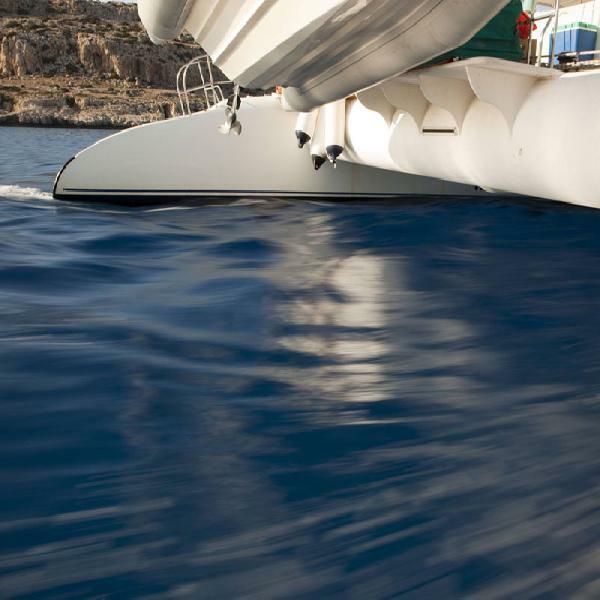 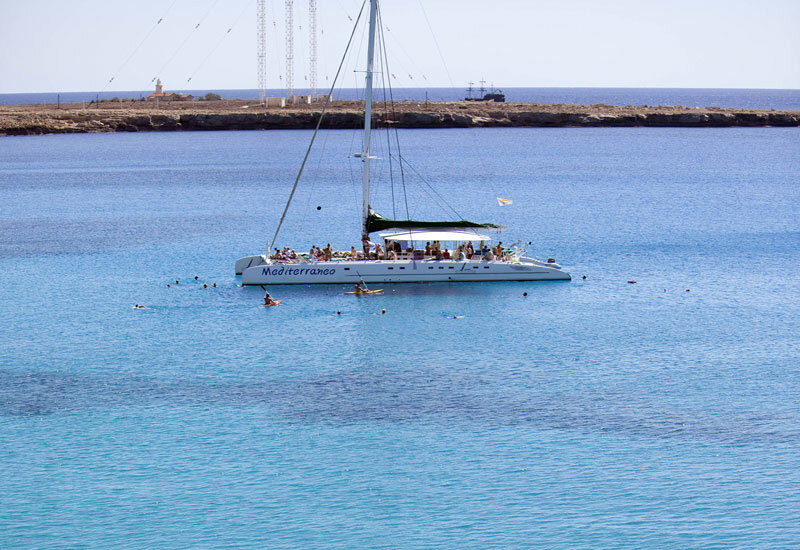 Enjoy a laid-back and relaxing day on board a luxury Catamaran. 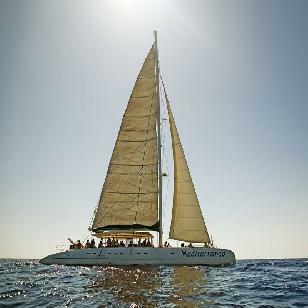 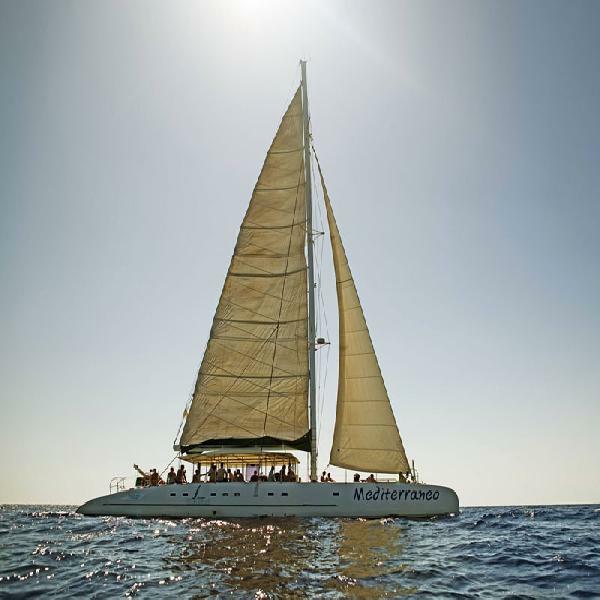 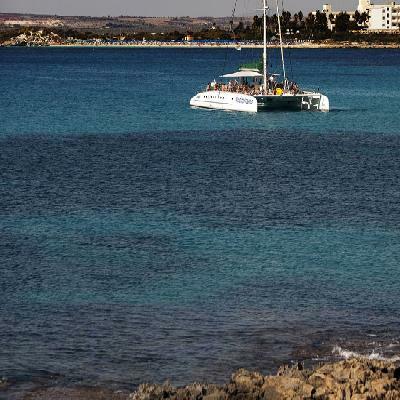 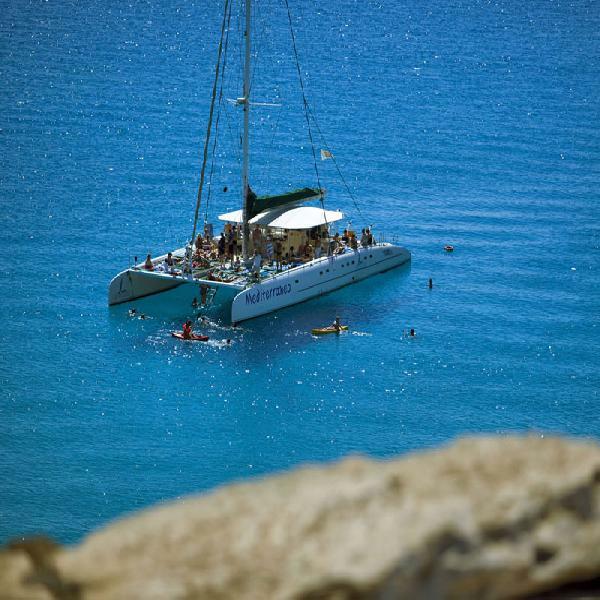 The Aqua Catamaran Cruise, available from Ayia Napa and and the Protaras area is a day of pure fun. Experience the excitement and freedom of sailing in the crystal clear waters of the Mediterranean Sea, while you relax on the rigging nets. 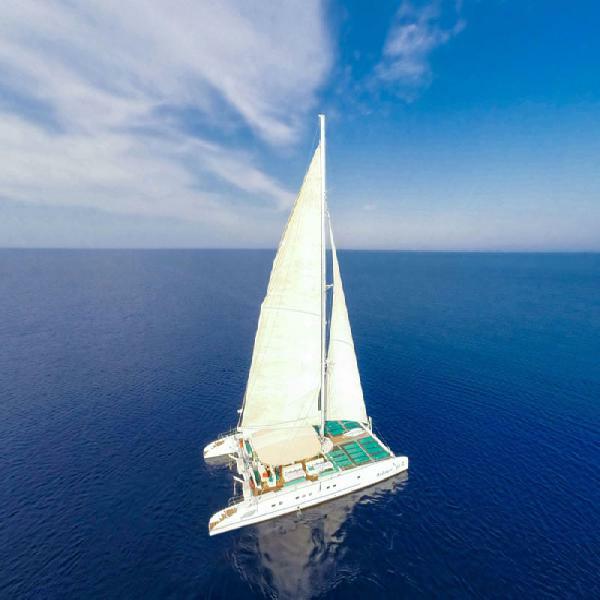 Sailing, snorkelling, swimming in the warmth of the clear turquoise water, sunbathing on the net and tasting exotic cocktails, are just some of the things to enjoy on this catamaran cruise along the Famagusta coastline.